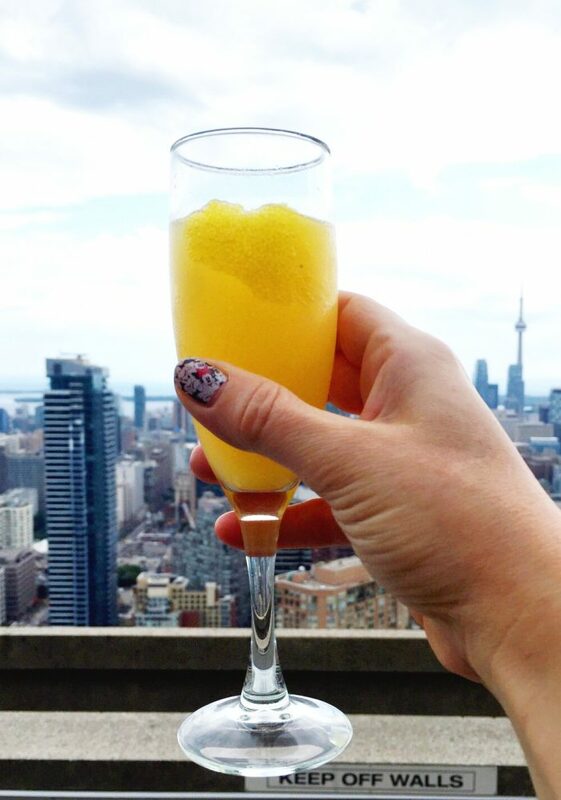 There’s lots of things to see and do in Toronto and a lot of them involve drinking and eating. 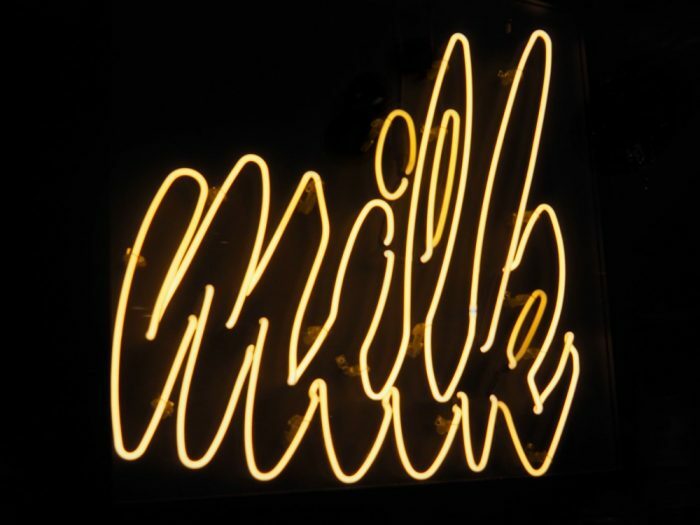 You will be blown away by the outstanding quality and wide variety of affordable eating and drinking options. Now in the spirit of being open and honest, I’m going to be totally up front with you here, I can’t take any credit for this list. Prior to our arrival, I hit up my Toronto friend in-residence Natalie and Rochelle and Nat, ex-Torontoians (if that is even a word) for all the things to eat and do. They gave me their tips and I ate my way through them…What delicious fun it was! 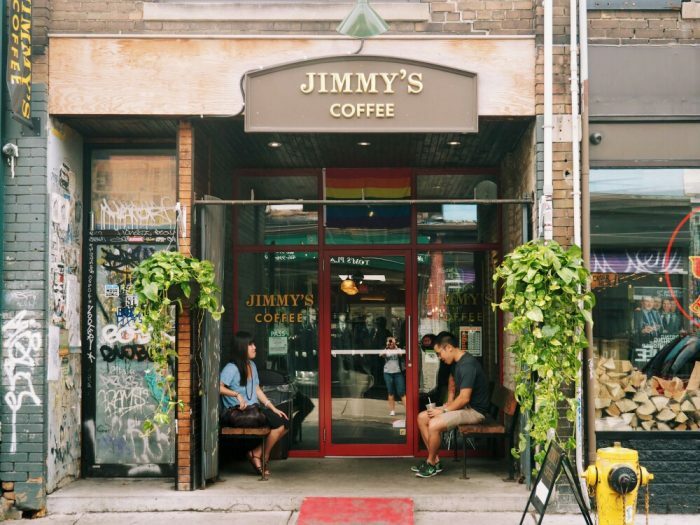 This is one of three Jimmy’s locations around town, swing by for great coffee, good vibes, free wifi and more pictures of famous Jimmy’s than you can shake a stick at. There’s heaps of seats inside and a cute little courtyard out the back. 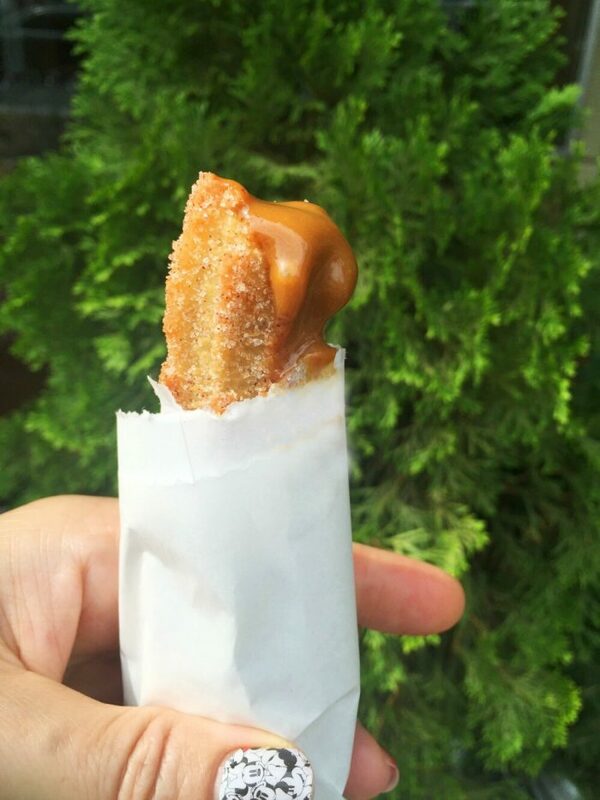 Don’t leave Kensington Market without one of these freshly cooked churros. Get yours stuffed with strawberry, chocolate, condensed milk or dulce de leche (the latter gets my vote.) It’s a cheap but very delicious treat at $1.50 a pop! Come here for the signature Chicken and Waffles. To the non-Canadian I know it tastes so wrong, but believe me, it tastes so right. 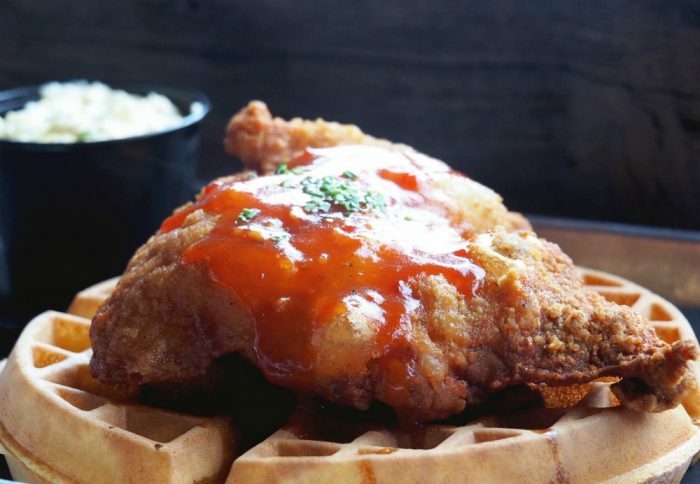 If you’re popping your Dirty Bird cherry, stick to the ODB; boneless thigh and leg, buttered maple, dirty sauce atop a fluffy waffle and a side. It’s the crisp and the crunch of the northern fried chicken, coupled with the heat of the dirty sauce and the sweetness of the maple butter and waffle that make this such a taste sensation. It’s a bit weird, but more than that it’s totally wonderful. Portions are huge and one portion will feed two people, if you can bear to share that is. 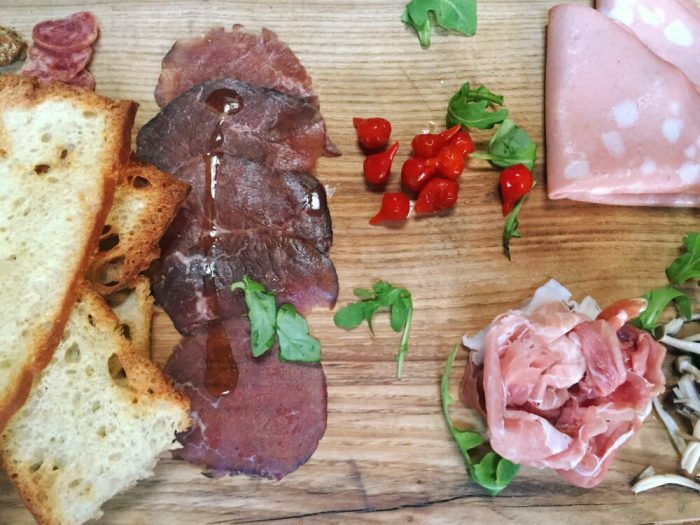 This place is a foodie’s dream and you will be spoilt for choice. Whatever you do, arrive hungry. Don’t miss the Peameal Bacon Sandwich from Carousel Bakery, the antipasti at Schleffers Deli, then head downstairs for some Pierogi at European Delight, some baked goods from Stonemill Bakehouse and don’t forget the coffee! Everyday Gourmet will see you right! This place is a destination in itself and a culinary highlight of any trip to Toronto. It has an authentic, tasty and traditional tapas style Mexican menu, outstanding customer service and a cracking cocktail list plus over 12o tequila and mescal labels – one thing is for sure you won’t get hungry or thirsty here. El Catrin claims to have the number 1 patio in town and I’m inclined to agree. 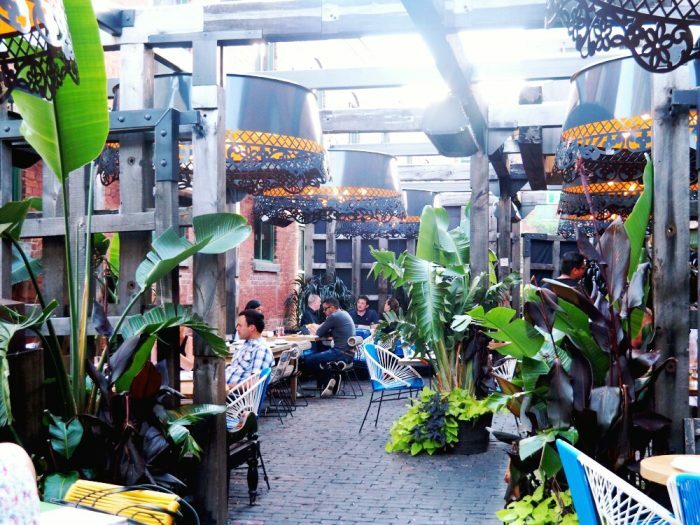 You can reserve yourself a spot for the sumptuous interior but for the complete El Catrin experience rock up and score yourself a spot on the patio. You won’t regret it. The guacamole is mashed right at the table and comes with with mild, medium and very hot sauces. Be like Goldilocks and find the one that is just right. Tacos are also highly recommended. We can’t go past pulled pork (because pulled pork!) 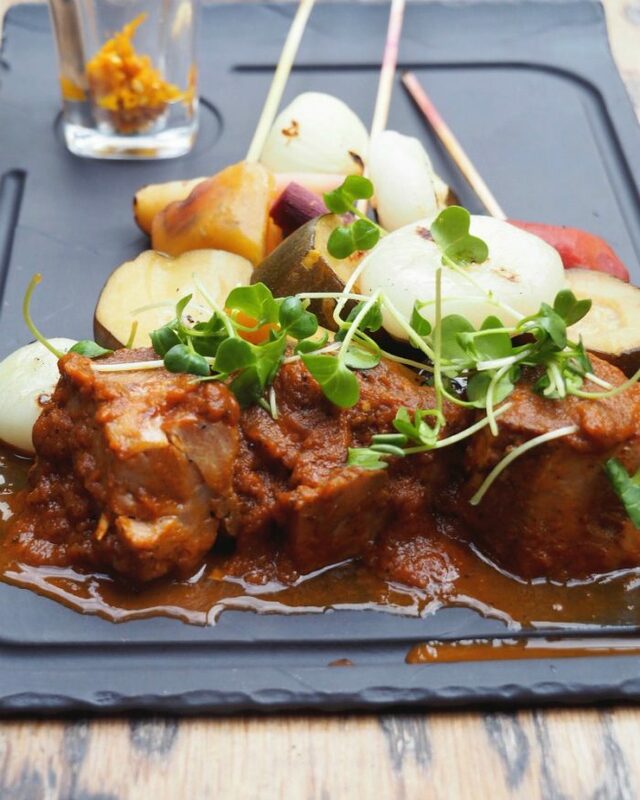 but the standout dish is the Banderillas De Cordero, lamb shoulder skewers with morita sauce and pickled veggies. The meat just falls apart, the sauce is flavoursome without being overly spicy and the pickled veggies balance everything perfectly. They grow their own chillies to make the hot condiment that comes with this dish, so the heat intensity varies depending on the crop. I think it’s safe to say that whatever day you turn up, that yellow sauce is hot stuff! Kids needn’t miss out with the Young Amigos menu and if you can save stomach space, there’s some delicious desserts too. Miller’s Brewhouse was East Toronto’s first commercial micro-brewery to open in more than 100 years. 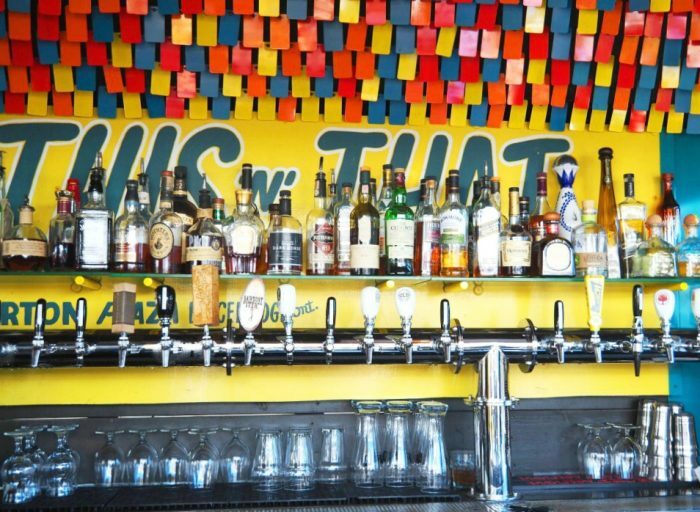 The wait was totally worth it and it now boasts an extensive beer menu with a great food menu to boot. 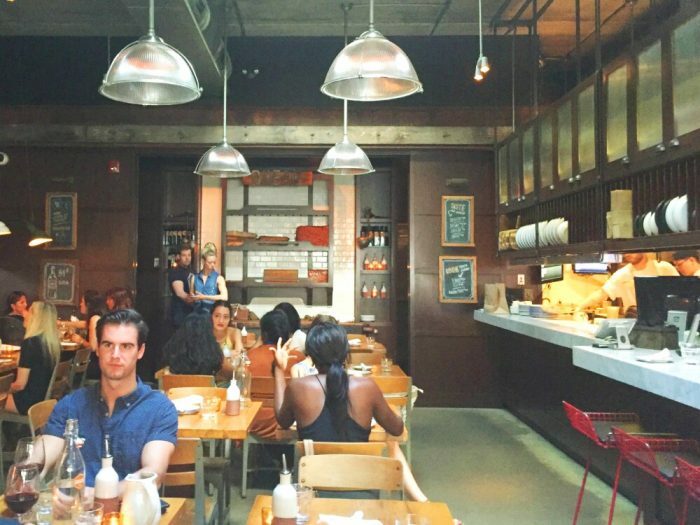 Score a seat inside near to the vats or soak up the sunshine outside on the patio and watch the world go by. If you’re looking for beer and cheer, this place has it all! Located in a repurposed garage in the heart of downtown, come here for delicious Southern Italian food with a modern twist and fantastic service. Food is fresh, abundant and totally delicious. The menu has everything from pizzas to pastas and everything inbetween. It’s ridiculously popular and only takes limited bookings at 6pm so either come early or be prepared to wait your turn. Located in the cellar of a historic 19th century building in the St Lawrence Street Market area, this place is easy to miss from the street but once you get downstairs, you’ll find two bars, cosy fireplace nooks, pool tables, a mixed crowd and a relaxed and friendly vibe. 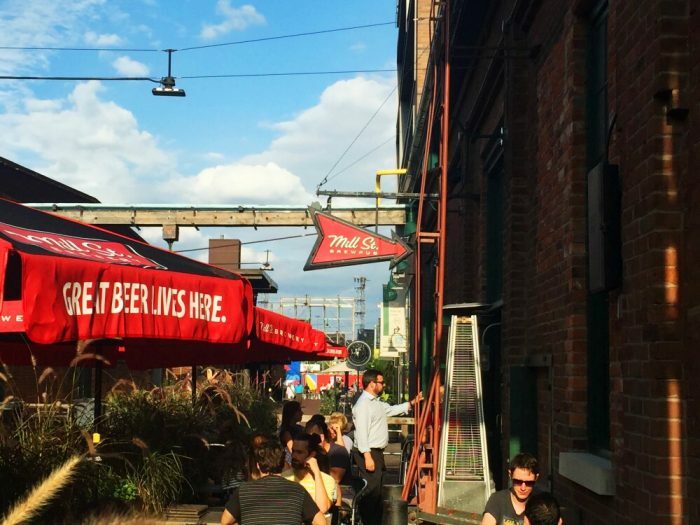 This underground bar offers up Toronto’s biggest selection of craft beer under one roof. 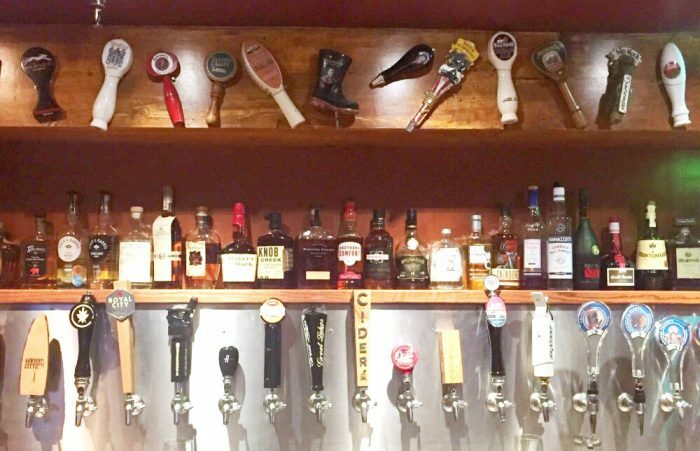 There are over 48 craft beers on tap, including 8 on cask, a select Ontario only wine list and some cracking whiskies from around the world. There’s also an extensive food menu packed full of comfort options. With so many beer choices, if you’re not sure what brew’s for you, ask the bar staff, who are more than happy to help. This Northern Thai eatery is always busy and with good reason, the food is authentic and delicious. 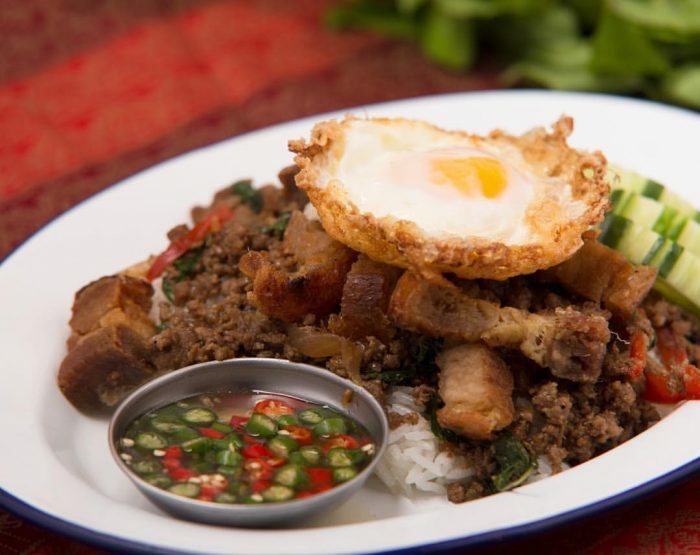 Don’t miss the Pad Gra Prow, stir fried ground Chicken, Beef or Crispy Pork stir fried with holy basil and oyster sauce and served on steamed jasmine rice and topped with a Thai style fried egg. And the cocktails are great too. There are limited reservations available online but be prepared to walk up and wait. It’s totally worth it! You can’t miss this 14,000 square foot lakeside brewery on the waterfront and you don’t really want to either. With it’s waterside location and awesome views this place is great for a date, for families or a night out with friends. The beer is seriously good and this place is seriously popular. There is an extensive food menu but the beer is the hero here. 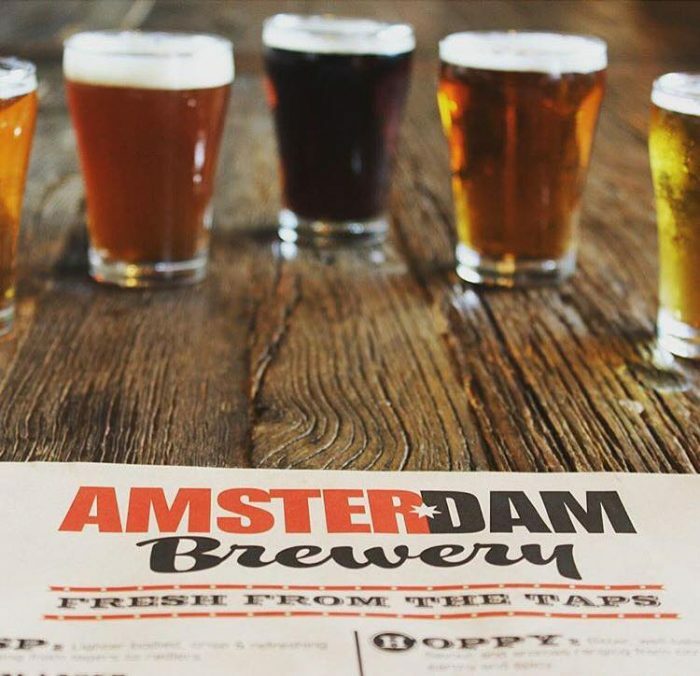 If you like a bit of everything, don’t miss the beer flights – they’re exceptionally good value at $8.50 for four samples. There are heaps of locations around town, but the Waterfront store will have you sorted! Poutine takes the humble chips and gravy to a whole new level with the addition of cheese curds and at Smoke’s they use hand cut chips and you can really taste the difference. 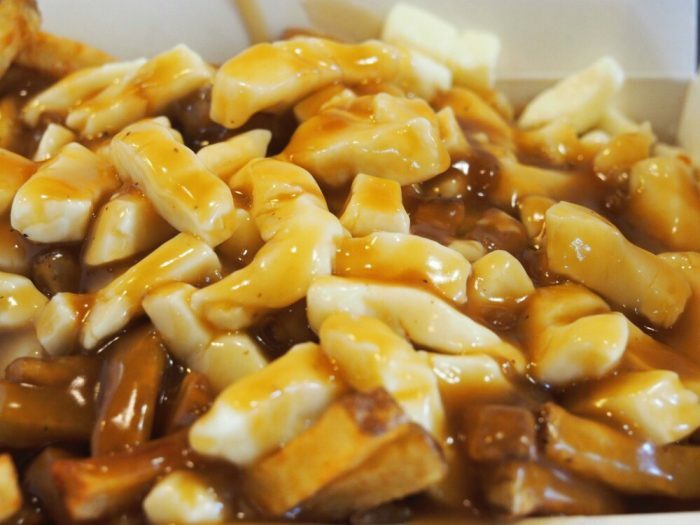 You’ll be spoilt for choice with a choice of venue, a range of portion sizes and over 30 different types of poutine (including plenty of veggie options.) For the uninitiated, you can’t go wrong with the traditional. Your belly will love you for it! This place has it all with 36 craft beers on tap and three levels of drinking space, but the jewel in the crown is the funky rooftop patio. Service is friendly, the menu varied and the beer is always cold. 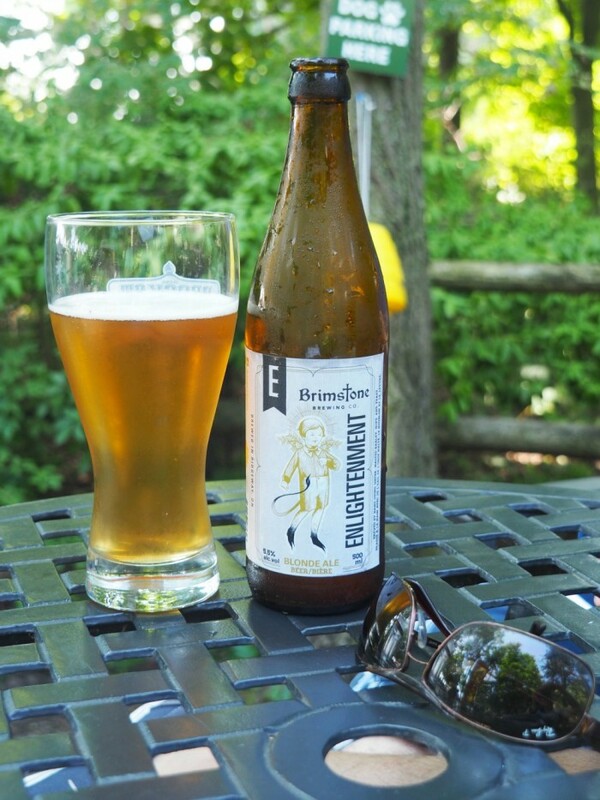 There’s no reservations for the patio, so come early and score yourself a spot in the sunshine. Look and ye shall find, isn’t that the saying? Well, look for this corner unit next to La Carnita and you’ll find dessert heaven. This espresso and ice cream bar is as it’s name suggests, all your sweet dreams come true. It will also please your interior design loving heart with it’s decorative trifecta of industrial cool, marble tops and splashes of teal. 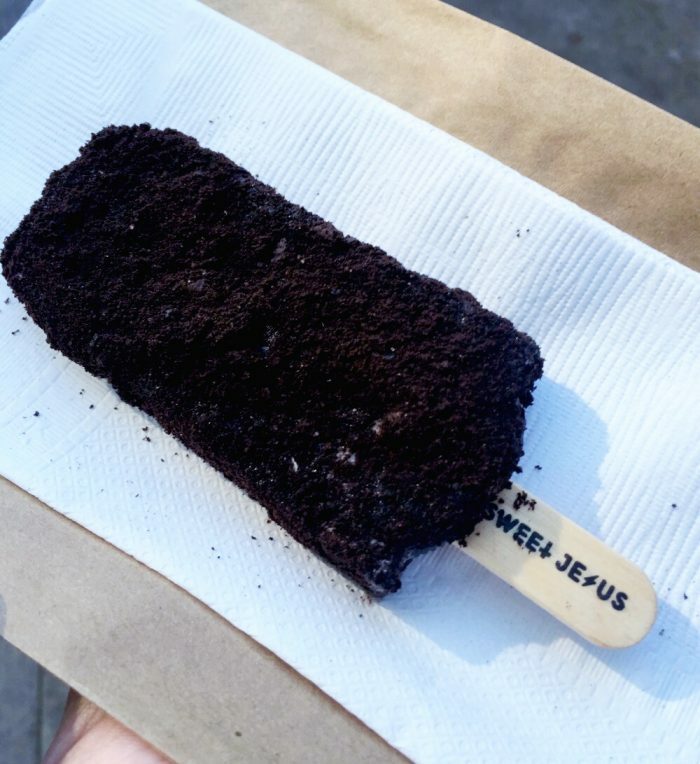 There’s coffee, paletas (like Mexican popsicles) but come for the ice cream because eating it is almost like a religious experience. There are six soft serve flavours but if like me, you like to go hard or go home, try a pimped out cone or cup for the ultimate dessert experience. 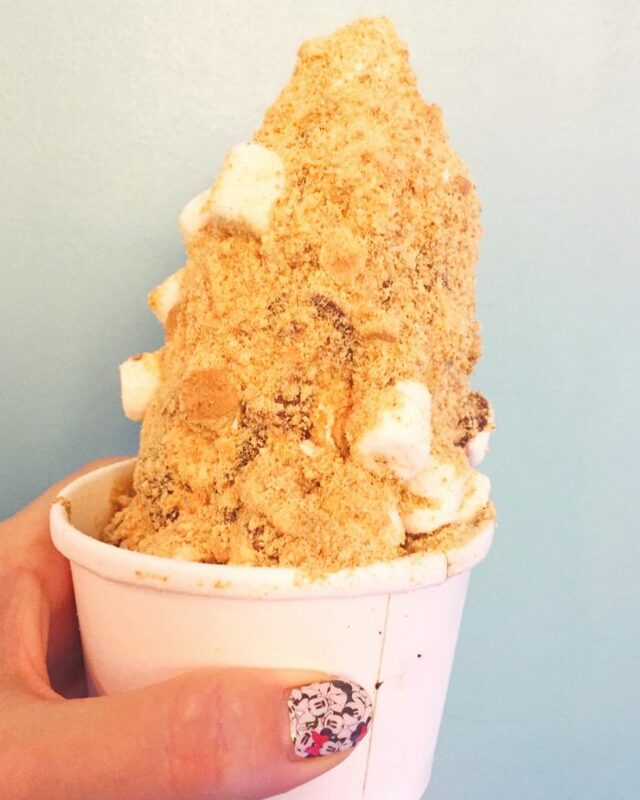 The Campfire S’mores is a delicious combination of vanilla and chocolate twist soft serve, graham crackers marshmallows, chocolate sauce and burnt marshmallow cream. 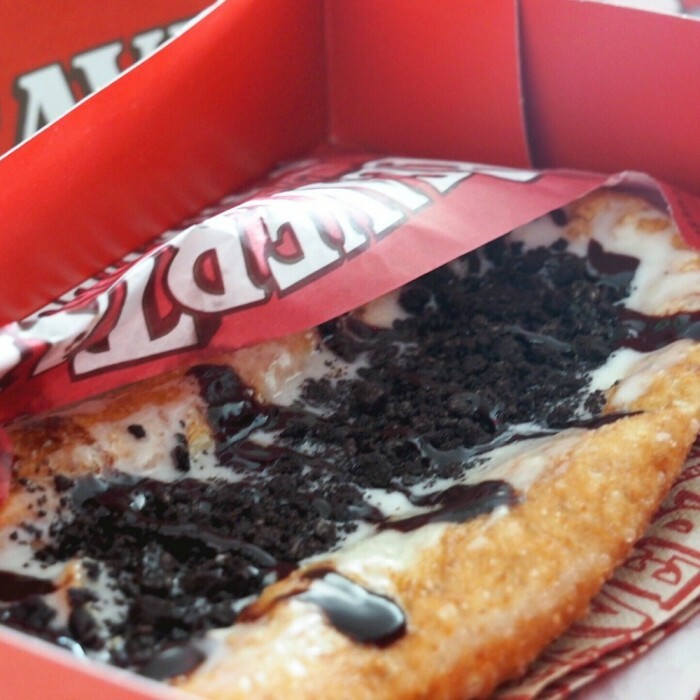 The sugar coma that follows is totally worth it. Clearly, everyone wants a taste of dessert heaven. Queues can be long but remember, all good things come to those who wait! 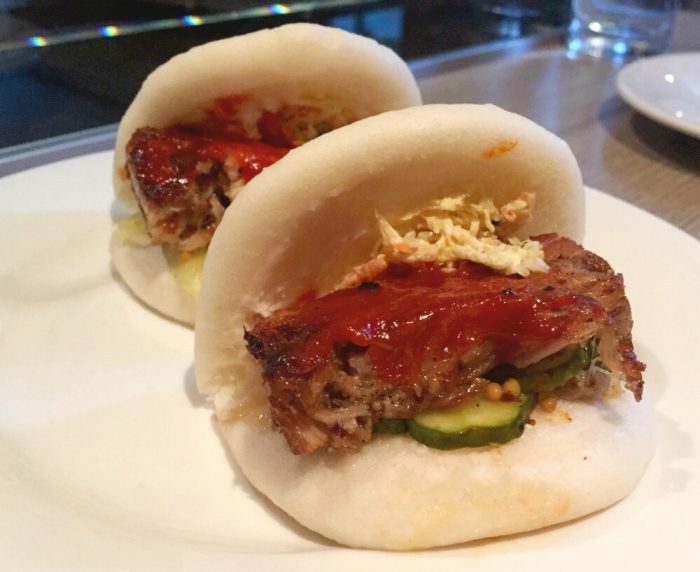 David Chang’s Toronto offering serves up the tasty steamed buns and flavourful bowls of ramen. The menu is quite small but perfectly formed and service is swift and friendly. It’s super popular and gets extremely busy but you can book ahead. 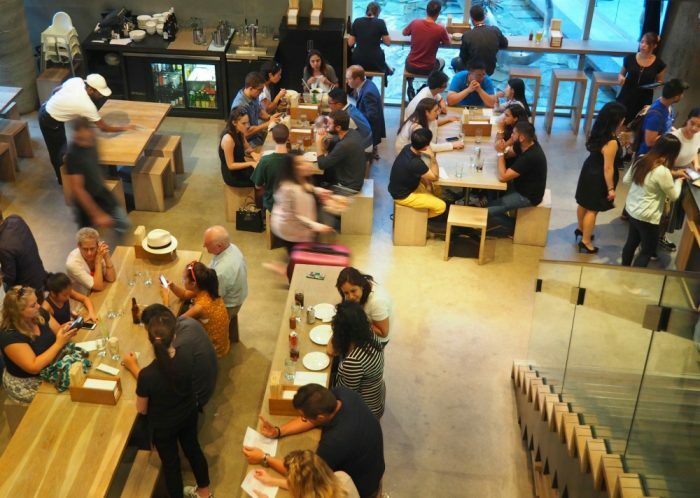 If you’re alone, in a couple or a very small group, you might be lucky to score yourself a seat upstairs where you can get a bird’s eye view of all the action. Don’t leave Momofuku without swinging by the Toronto branch of this New York institution selling creative cookies, pies, cakes, truffle mixes and soft serve. You’ll find this sweet nirvana upstairs at Momofuku, just walk in, grab yourself a basket and then all your sweet tooth’s desire. You get to purchase soft serve and pay for your loot downstairs. And if like me, you suffer from FOMO you can reserve online and pick up in store! How easy is that?! 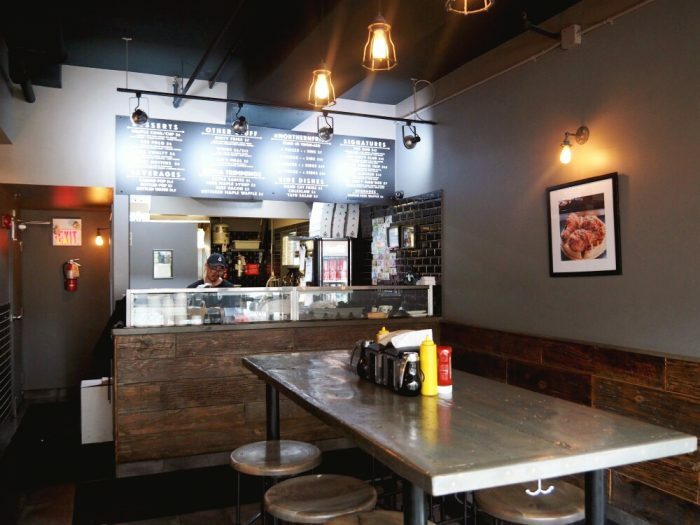 This 1940’s style diner is a Toronto institution and a delicious one at that! 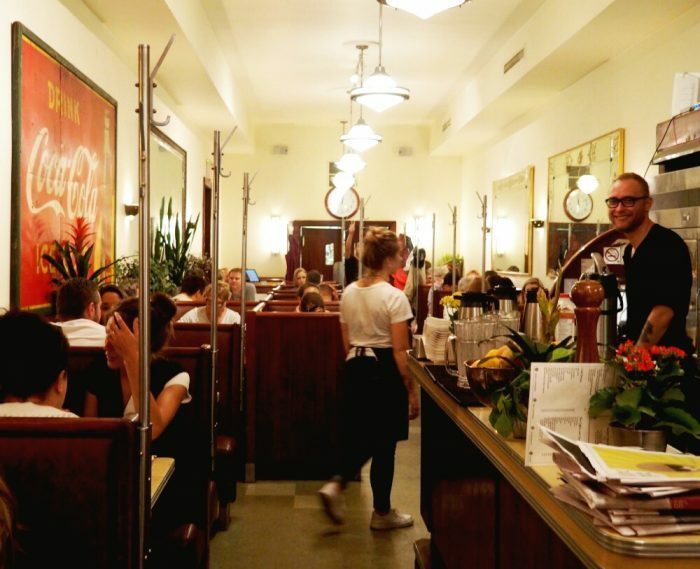 It’s been serving up classic breakfast dishes and comfort food since 1929 and if the queues are anything to go by, it’s still as popular as ever. Senator prides itself on using local produce and cooking everything from scratch and you really can taste the difference. 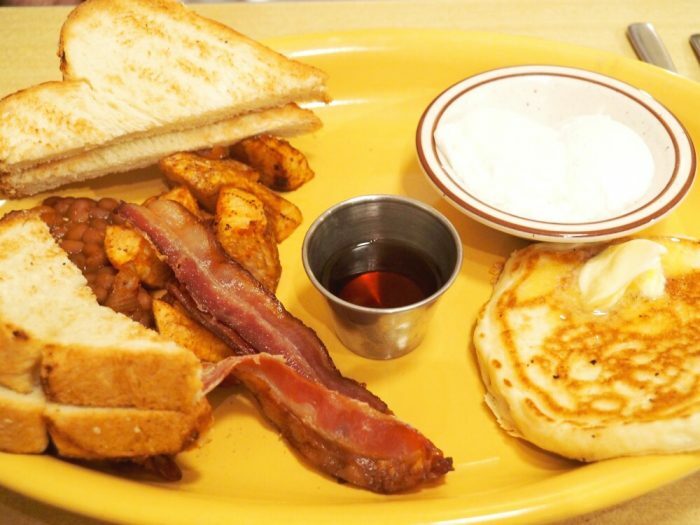 The food is solid, portions are generous and service is friendly. What’s not to love? There’s a great vibe here so grab yourself a booth and start your day right. Located on Wards Island on the Toronto Islands, Rectory Cafe is a refreshment oasis, just a short walk from the ferry terminal overlooking Lake Ontario. 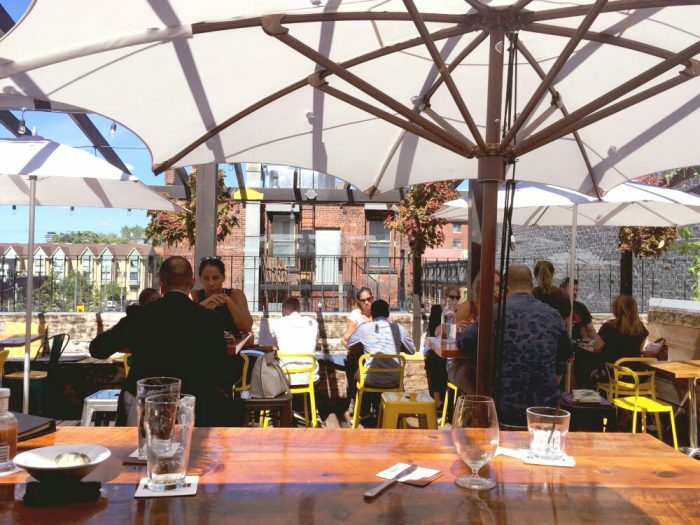 It’s been named Toronto’s Best Lakeside Patio for good reason, and on sunny days, this is the place to be. The menu looks delicious and varied, but even if you’re not hungry, swing by for a beverage and soak up the view. The beer is cold, the service is friendly and there’s free wifi too! If you like a drink with a view, this place is for you. Freshly relaunched and located on the 51st floor of the Manulife Centre, the One Eighty has a good selection of drinks and an eclectic food menu. Unlike the CN Tower it doesn’t have a $35 admission fee, so why not dodge the tourists at the Tower and head up here for some liquid refreshment instead? 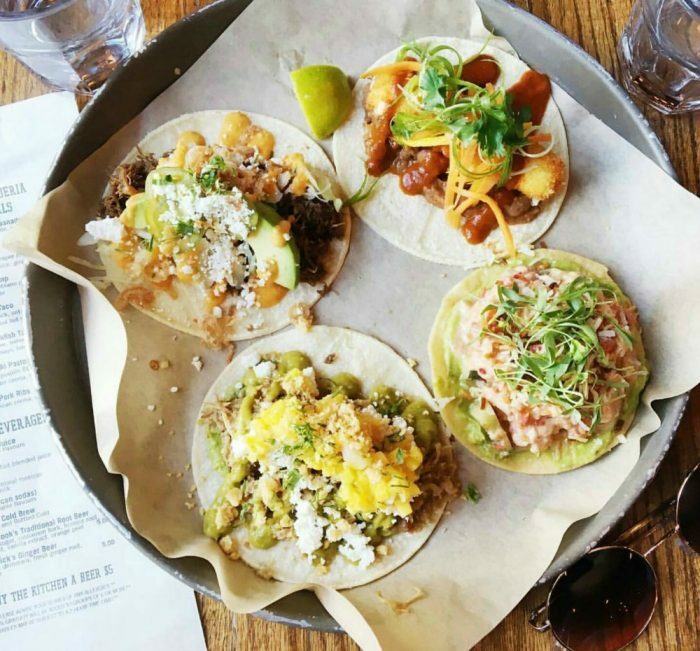 Hands down some of the best tacos you’ll eat in Toronto. If you like your tacos served fresh, delicious and served with a side of street art, this place is for you! There’s a relatively small (but perfectly formed) menu of tacos at about $5 a pop, plus there’s a daily special too. This place is always popular and always packed, and as a result, always noisy. If you want to secure your spot, come early. Have you been to Toronto? Have you got anything to add to the list? Which of these tickles your fancy?